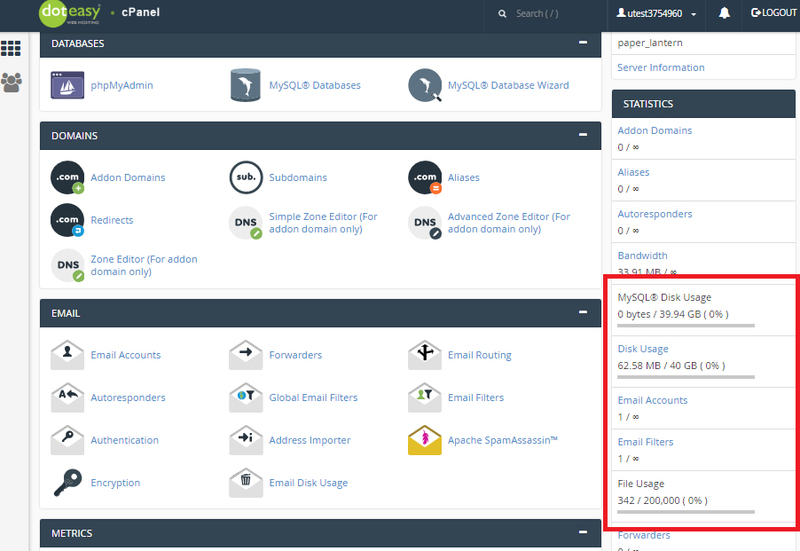 Your disk space usage is the total sum of all data on your account including website files, MySQL databases and email messages. 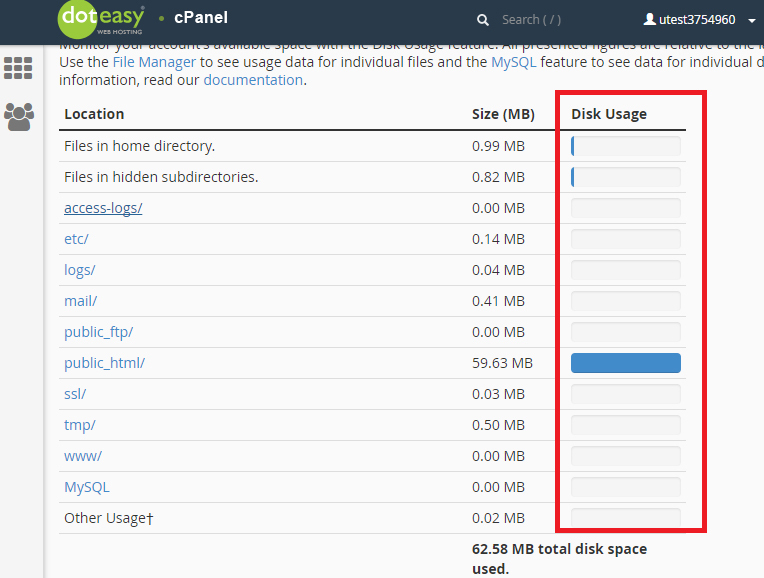 When you log in to your cPanel, you will see a short summary of your disk space usage on the right side. 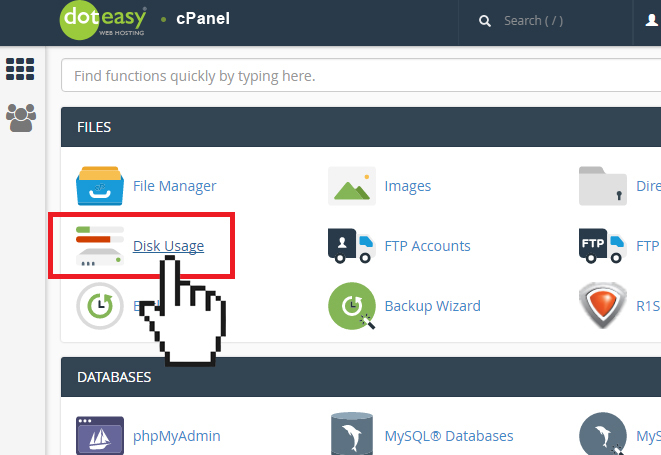 If you require full details of your disk space usage, you can find the information by clicking on Disk Usage under Files in cPanel. Disk usage by directory will be shown in bar graphs. 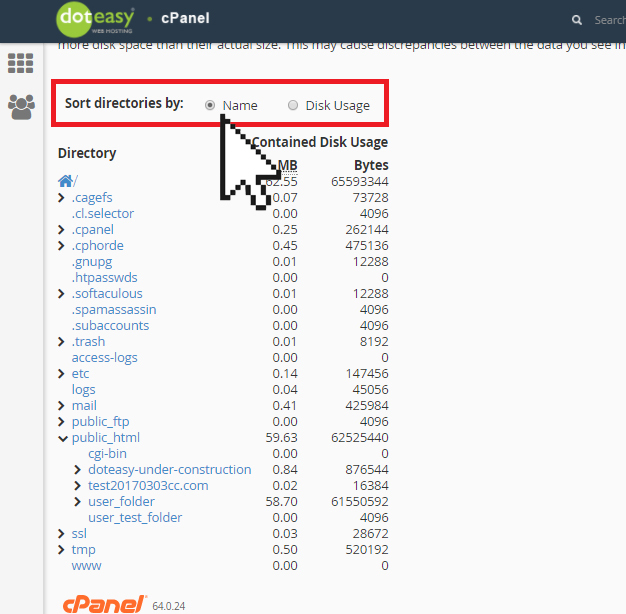 Underneath the bar graphs, you can view disk usage by directory. You can sort disk usage information by directory name or by disk usage. To manage or remove unwanted files, click on the desired folder and File Manager will open in your browser.